What I do have is a fake, but very nice, Eames lounge and ottoman! I shall post about it someday. OH! They are cool, my favorite drawing so far. great one! i absolutely love. Um, the drawn ones I do NOT have!! They are imagined (see description of my project over to the right). 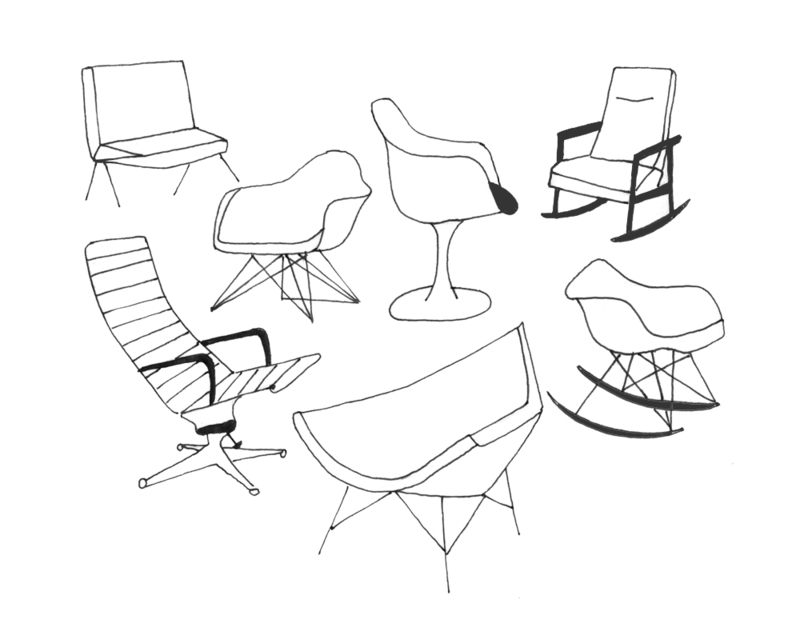 I only WISH I had these chairs. Those chairs...they are quite interesting. Beautiful! 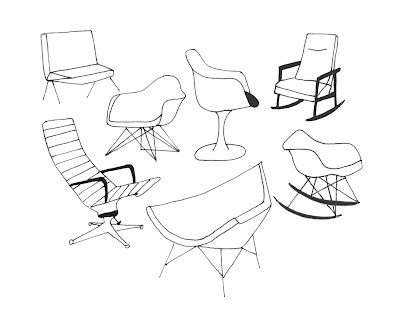 I love the Eames rocker. Hey Lisa, very nice your blog! If you don't mind, I used this image to ilustrate the post, linked to yours. You drew most of my favorites! The ones I hope to collect!